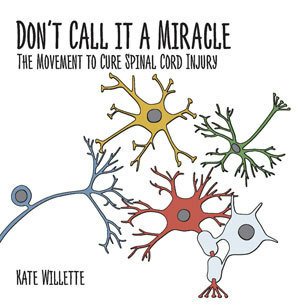 We're pleased to be able to offer free copies of Don't Call It A Miracle: The Movement To Cure Spinal Cord Injury by Kate Willette in multiple formats. This 238 page book explains the basic biology of the injured cord, what the basic approaches the scientists are taking to heal, mend or bypass the nervous system and what you, as a non-scientist, can do to speed things along. Kate Willette was the guest on Adapting Life with Candace Cable webcast on May 18, 2016.